"It's a world of difference! I can tell the difference of balance having these two mics. It's great that you can mic up the other side of your instrument as well. It's really nice!" Micah Hulscher, 30, a pianist who performed concertos as a soloist from Seattle to Texas and Ireland by age 15, has created a unique niche for himself in the music world. His classical background combined with knowledge of jazz and improvisation, and a passion for American roots piano and keyboard styles give him a special style that transcends the spectrum of popular music. Starting lessons in Seattle on his 3rd birthday, and beginning private composition and theory lessons at age 6, Micah played classically for over 13 years. At age 16, Micah left the Purcell School in London to pursue jazz and popular music, which he did under scholarship at North Seattle Community College with Fred Radke. At 17, he joined the Dusty 45s, an original American roots band for which he wrote, arranged, toured, and recorded 4 records over 10 years. During that time, Micah met and recorded with numerous other groups in Seattle and on the road. He also formed Micah Hulscher and Keys to the Country, in which his original compositions were featured and played at the well known Pampas Room in Seattle every Saturday. In November of 2007, Micah moved to Los Angeles. Over the next 2 and a half years, as an instrumentalist, collaborator, session musician, writer, composer, arranger, and producer, he worked with a number of music industry vets, including Ed Cherney (engineer for Bob Dylan, Michael Jackson, Bonnie Raitt, The Rolling Stones, Jackson Browne), James Lugo, Mark Neill (producer for The Old 97s, The Black Keys, Dan Auerbach, Los Straightjackets, The Paladins) and Mike Greene (head of NARAS from 1988-2002). Micah relocated to Nashville, TN in May of 2010 after spending time on the road with the Harry James Orchestra and has since worked with some of Nashville’s finest musicians, engineers, and producers. As of now, Micah is touring with Wanda Jackson in support of her new record, “The Party Ain’t Over,” produced by Grammy winner, Jack White. Micah also tours with the Legendary Drifters, playing songs from their legendary Doo-Wop and R&B catalog. In addition, Micah is a member of an original project called The Clones (noisetrade.com/theclonesmusic). Their laid back grooves and great musicianship are fast becoming a live favorite in hip East Nashville. They also just released their full length album, "Stranger." Be on the lookout! Micah also plays with various other artists in Nashville, including Caitlin Rose (ATO Records) and Zach Broocke (Dualtone Records). 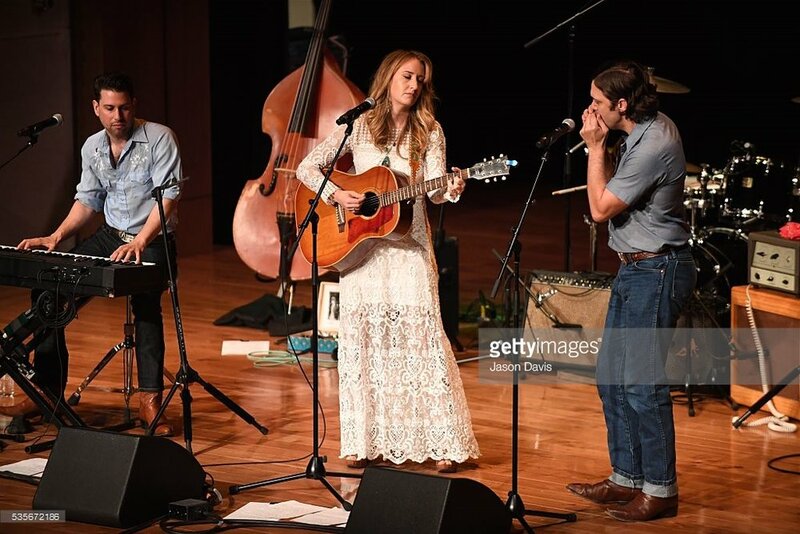 Michah Hulscher playing keys and accordion on tour with Margo Price.